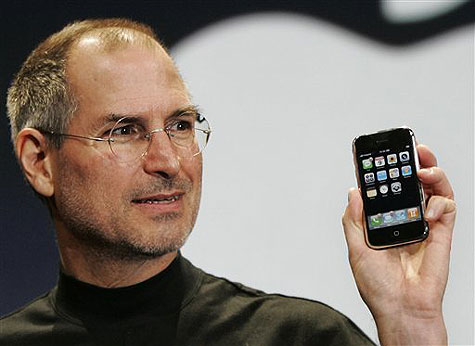 The original iPhone caused internal panic at RIM according to a former employee. RIM allegedly held several meetings the day after the iPhone was announced. The employee revealed that the BlackBerry maker accused Apple of lying about the iPhone as it was impossible for phone with such a large screen to last a useable lifespan. He states: The iPhone "couldn’t do what [Apple was] demonstrating without an insanely power hungry processor, it must have terrible battery life," Shacknews poster Kentor heard from his former colleagues of the time. "Imagine their surprise [at RIM] when they disassembled an iPhone for the first time and found that the phone was battery with a tiny logic board strapped to it." Moreover, he states many other manufacturers such as Motorola, Nokia, and Palm had the same reaction. RIM in particular believed smartphones would never have enough battery or wireless technology for more functions.